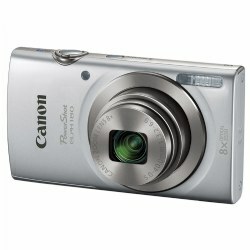 Capture unforgettable moments with digital cameras and video recorders. Kaplan also offers photo printers and document scanners to let teachers share these moments in vivid color with the rest of the class. 4 years & up. 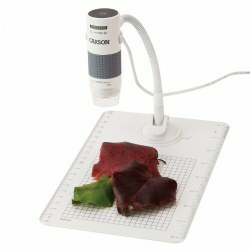 This powerful digital microscope displays the magnified image right onto your computer screen. The impressive 75x/300x magnification unlocks tiny details of our world. The flexible neck stand with suction cup attaches to any smooth surface, or the included base with ease. Resolution is 1600 x 1200 pixels. Compatible with Windows XP SP2 or above, Windows Vista (32 bit or 64 bit), Windows 7 (32 bit or 64 bit), Windows 8 and Windows 8.1. Mac OSX 10.4.9 or later. Does not work with tablets. 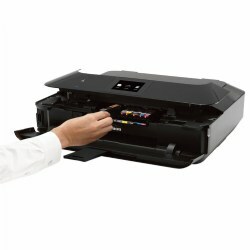 Prints on both sides of paper to help reduce paper usage and has 5 individual ink tanks. Print borderless prints up to 8 1/2" x 11" with color print resolution of 9600 x 2400 dpi. 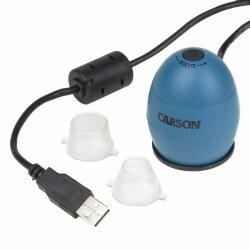 Connects wirelessly or via USB cable (included). Also prints on CD, DVD and Blu-Ray Discs. 4 years & up. This microscope has an integrated camera that displays the magnified image right on your computer screen. The impressive 35x magnification allows children to see details they never knew existed! The built-in internal illuminator ensures a clear and bright image for photo or video capture. Compatible with Microsoft Windows® 98SE, ME, 2000, XP, XP Service Pack 3 Upgrade, Vista and MAC OSX 10.4 or later. A USB 2.0 port is required.